The advent of the 1992 Constitution ushered in the Fourth Republic of Ghana, the call for a change of government since then by the opposition parties at any election has been premised basically on the mismanagement of the economy (incompetence on the part of the ruling government at the time) and its attendant hardship, corruption, insensitivity to the plight of the ordinary Ghanaian (a term used by politicians to identify with the masses yet forget that the reverse points to them as not being ordinary) and the supposedly better policies they have as against that of the party in power. My personal definition of “Friends and Family Government” (FFG) is this: A type of government in which the sitting President appoints mostly his family members and friends into the executive arm of government and the various sectors of the public service on one hand; and these appointees on the other hand either using their relations with the President or their own influence/good offices to also get their relations appointed. 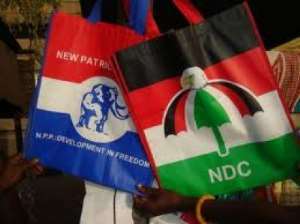 The current New Patriotic Party (NPP) government used the designation “Friends and Family Government” (FFG) extensively against the then National Democratic Congress (NDC) government led by His Excellency John Dramani Mahama in their campaign to gain political power. The former President was accused of running FFG because most of his Ministers and Deputies hail from Northern, Upper East and Upper West Regions; as well as members of his family especially the then first lady her Excellency Mrs. Lordina Mahama and his younger brother Mr. Ibrahim Mahama were perceived to be too much involved in the day to day running of his government. Despite the change of government, this phenomenon continues unabated with His Excellency Nana Akufo-Addo, who is said to be running the most nepotistic FFG in the history of mother Ghana; especially when in opposition he promised to do the contrary. This phenomenon has always been with us with the advent of the Fourth Republic and may even precede this Republic; but it seems to have gained much attention within our current political discourse as a nation. The government of President Rawlings had personalities like Captain Kwadwo Tsikata, Messrs Daniel Abodakpi, Victor Selormey and Dr. Obed Yao Asamoah as well as Ambassador James Victor Gbeho and Lawyer Tsatsu Tsikata; all natives of the Volta region playing pivotal roles. The government of President Kufuor also had the touch of the FFG phenomenon. Mr. J. H. Mensah (his brother-in-law) served in various capacities such as Minister for Parliamentary Affairs, Senior Minister and as Chairman for the National Development Planning Commission (NDPC). Dr. Anthony Akoto Osei (his nephew) first served as Special Assistant to Mr. Yaw Osafo Maafo (Minister of Finance), and later as Deputy Minister of Finance and Minister of State at the Ministry of Finance. Interestingly Dr. Kwame Addo Kufuor (his younger brother – Minister of Defence) was the only Minister who never changed portfolio during his eight years Presidency. During the Presidency of Prof. Mills (a Fante), the tagged “Fante Confederacy” which is said to include Mr. Ato Ahwoi and Mr. Totobi-Quakyi seemed to have taken centre stage in the President’s appointments. Without their approval, one would not be appointed by the President; and is a matter of public records that Dr. Ekow Spio Garbrah’s possible appointment as Foreign Minister by President Mills was averted by them. Ghanaian politicians reduce the discussion to the mathematics so as to score political points; but the biblical perspective presents other dynamics for our appraisal. This is my motivation for critiquing this phenomenon in the light of the establishment of the monarchy in Israel. God through His covenant with Abraham elected Israel as His people and thus became their King. At Sinai the dictates of the covenant which Israel was taught by her Fathers Abraham, Isaac and Jacob was re-enacted with God giving them the Decalogue on tablets of stones and several other laws (Exo. 19-22). The election of Israel was exclusive from the beginning but also had an inclusive outlook of God reaching out to the nations later through Israel; but Israel did not understand her calling. Life in Canaan was characterised by the loose tribal league and the cycle of Israel sinning, God handing them over to their enemies, Israel would cry to God, a Judge would be raised by God to bring deliverance and return the heart of the people to God for the lifespan of the Judge (Jud. 3:1-31). The Ecclesiastical corruption that attended the priesthood of Hophni and Phinehas; the sons of Eli which led to their death (1 Sam. 2:12-17, 22; 4:11) was in a way repeated by the sons of Samuel in his old age as they judged in Beersheba in his stead, this triggered Israel’s call for a king like the other nations (1 Sam. 8:1-4). But Israel was a theocratic state with God as their King who through the intercession of Samuel over the years subdued the Philistines ((1 Sam. 7:7-10). So Israel by asking for the rule of a king like the other nations was not rejecting Samuel but rather God’s reign over them (1 Sam. 8:6). God granted that sinful concession and through Samuel spelt out the rules of engagement regarding human kingship (1 Sam. 8:7-19); that led to the establishment of the monarchy in Israel with Saul chosen by God as the first king. In discussing this FFG phenomenon, I would limit my critique with the reigns of Saul, David and Solomon. A perusal of articles 70, 74, 76 -79, 86, 89(1) and (2a), 166(1c), 168,185(3), 189(1a), 190, 193(1), 195, 202(1), 207(1), 212, 217, 232(1) and (2), 242(d), 243(1), 256, 259, 269 and 278(1) stipulate the right conferred on the President to appoint. Constitutionally the power conferred on the President to appoint virtually seems unlimited. Since Ghana was under military rule with President Rawlings from 1981-1992; perhaps the framers of the 1992 Constitution gave so much leverage to the President in his appointments as a bargaining chip to cushion his transition from a military leader to a democratically elected President. The Directive Principles of State Policy contained in this Chapter shall guide all citizens, Parliament, the President, the Judiciary, the Council of State, the Cabinet, political parties and other bodies and persons in applying or interpreting this Constitution or any other law and in taking and implementing any policy decisions, for the establishment of a just and free society. Article 35(6b): achieve reasonable regional and gender balance in recruitment and appointment to public offices. The first part of the definition of FFG points to the President appointing his close relations and friends into his government. Now let us take a closer look at the President’s appointees who are said to be relations and friends. There are family relations of the President who worked tirelessly for political power yet are not known to have been officially appointed. A typical example is Lawyer Gabby Asare Otchere Darko, who is said to be the President’s nephew. From 2008 when Nana Akufo-Addo became the Flagbearer of the NPP, he has worked tirelessly to ensure that NPP under the leadership of his uncle comes to power; the dream was realized in the 2016 elections. But it is very interesting that the same person who does not have the luxury of time to be hovering around the President, had time to follow him to the 72nd UN General Assembly at New York in the United States last year September albeit at his own expense? There are appointees who are supposed to be family relations of the President by virtue of their namesake. An example is DCOP Maame Yaa Tiwaa Addo-Danquah appointed as the Director General of the Criminal Investigative Department (CID) of the Ghana Police Service. She hails from Konongo in the Asante Akyem Central Municipality of the Ashanti Region; [iv] the President on the other hand, is a native of Kyebi in the East Akyem Municipality of the Eastern Region. They are perceived to be related by virtue of their namesake and the Akyem connection in their ancestry. But Scripture portrays several diverse stories about towns and people with the same name yet not related. There was a Benjamite city by name Ophrah (Jos. 18:21-23), and a Manassite town also by the same name; which was the residence of Gideon and his father Joash called “Ophrah of the Abiezrites,” (Jud. 6:11; 8:32) to differentiate it from “Ophrah of the Benjamites (Jos. 18:23).” The people of “Ophrah of the Abiezrites” were descendants of Abiezer one of the sons of Manasseh (Jos. 17:2); and David’s commander over 24,000 soldiers for the ninth month was also called Abiezer, a Benjamite from Anathoth (1 Chr. 27:12). From the above biblical examples towns and people can be namesake yet have no connection at all. So the deliberate tagging of DCOP Tiwaa Addo-Danquah as a relation of the President at all cost because of their namesake; seems to have a propaganda outlook. This political strategy seems to focus on falsehood and stays away from her requisite qualification and competence/suitability for the job. The underlying principle of political propaganda is that a lie told for a long time becomes the truth. This strategy is seemingly meant to court disaffection for the President as being nepotistic for political gains. Absalom courted the affection of the people away from David when he tried to usurp David’s throne; the end result was disastrous (2 Sam. 15:1-6; 18:10-17). It is the same strategy being used by the opposition. There are family relations of the President who have been appointed into government with proven track record in the public space. Examples are Miss Gloria Akuffo (Attorney General and Minister of Justice), Mr. Ken Ofori Atta (Minister of Finance) and Mr. Samuel Atta Akyea (Minister of Works and Housing). Before discussing the aforementioned personalities, it must be said that the African worldview of family and brotherhood is a broader concept rooted firmly in the long and widely expanded extended family system as against that of the narrow concept of the Western world that emphasizes the narrow nuclear family system. The Finance as well as Works and Housing Ministers are known to be related to the President’s maternal family; the Attorney General and Minister of Justice can be said to be related to the President’s paternal family. Again the discussion is centred on their blood ties to the President and not on their competence and contribution to NPP gaining political power. The Attorney General as well as the Works and Housing Minister are both well-known NPP activist and seasoned Lawyers; whereas the former was the President’s Deputy at the Attorney General and Justice Ministry (during the Presidency of John Agyekum Kufuor), the latter has been the Abuakwa South Member of Parliament since 2009. In the case of the Finance Minister, he has proven his competence for his portfolio with the establishment and management of Databank Ghana Limited. He was in charge of NPP’s fundraising committee for 2008, 2012 and 2016 elections, so his contribution to the party’s ascendancy to political power cannot be overemphasized. He campaigned assiduously for the President with his wife on the streets of Accra. When Saul became King of Israel, his army commander was Abner his first cousin (1 Sam. 14:51-52). Abner in death was described as a great man by David (2 Sam. 3:38) and was loyal to Saul’s household even after Saul’s death (2 Sam. 2:8-10; 3:6). Abishai (Nephew by his sister Zeruiah) – Second in command to Joab (2 Sam. 2:18; 10:9-10; 23:18-19). I would discuss Joab and David’s sons later but for now would concentrate on Jonathan, Abishai and Asahel. Jonathan was a Scribe who was also described as a man of insight, thus his appointment as David’s counsellor was well deserved (1 Chr. 27:32a). Asahel was as fast as a gazelle, (2 Sam. 2:18b) but was also a valiant soldier like his brother Abishai. Their exploits in the army and place in Israel’s history amongst David’s mighty men are well documented (1 Chr. 11:20-21, 26; 2 Sam. 23:18-19, 24). From the above biblical examples, all family appointments of Saul and David were not only based on loyalty by family ties but also based on their competence. So discussing the Presidents appointees based on family ties, without recourse to the competence or incompetence of the said relations; does not seem fair to such individuals and does not enrich our developing democracy. There are family relations of the President appointed into government whose pedigree are not publicly known. An example is the appointment of the President’s daughter Miss Gyankroma Akufo-Addo as the Director of the Creative Arts Council with Mr. Mark Okraku Mantey and Miss Bibi Bright as the President and Secretary respectively. Miss Bright though very good yet not considered as an A-list actress would be very much satisfied with her position on the Council. The debate out there is, in spite of Mr. Okraku Mantey’s immense contribution to the Creative Arts Industry in Ghana; why would the Minister of Tourism, Arts and Culture choose the President’s daughter with unknown public pedigree over him as the Director? In the biblical analogy, it is very interesting that Joab (King David’s nephew by his sister Zeruiah) was chosen as army commander ahead of all David’s mighty men including his brothers Abishai and Asahel ( 2 Sam. 8:16; 23:8-39); David as well appointed his sons as his royal advisers. Solomon appointed two of his sons-in-law as part of the twelve district governors (1 Kgs. 4:11; 15) during his reign. But it must be said without any equivocation that Joab never lost a single battle as the army commander in battles with the house of Saul (2 Sam. 3:1; 2:30-31), with the Edomites (2 Kgs. 11:14-16; introduction to Psa. 60), during Absalom’s conspiracy (2 Sam. 18:5-17) and Sheba’s revolt (2 Sam. 20). He proved his mettle especially with his strategy that defeated the Ammonites and Arameans when Israel was opposed on both sides (2 Sam. 10). It is more likely that David knowing of the inherent abilities of Joab and his sons appointed them as army commander and royal advisers respectively. Just may be the President very much aware of his daughter’s potentials, possibly reasoned with the Minister to choose her above all odds; so let us give Miss Gyankroma the benefit of the doubt for the time being, who knows perhaps she has the magic wand for the myriad of challenges facing the Creative Arts Industry in the country. The rest of the President’s appointees who are not related to him by blood can be termed as friends. But they are not just personal but political friends as well who contributed with their logistics, finances and intellect to regain political power. Some appointees transcend the two regimes of the NPP government in the Fourth Republic with some serving for the first time in government. Mr. Yaw Osafo Maafo served as the Minister for Finance and Education during the Presidency of Kuffuor; now he seems to have been elevated to the office of the Senior Minister under President Akufo-Addo. The likes of Dr. Boakye Agyarko and Dr. Matthew Opoku Prempeh are serving for the first time in government as Ministers for Energy and Education respectively. Some of David’s non-family appointees included Ahithophel (friend & counsellor – 1 Chr. 27:33; Psa. 41:9), Hushai (friend & counsellor – 1 Chr. 27:33) and Seraiah/Shavsha/Shisha (Secretary - 2 Sam. 8:17b). All these people served David to the very best of their abilities with the exception of Ahithophel who turned against David (perhaps because of a personal grudge he nursed against David which Absalom probably knew and took advantage of – 2 Sam. 15:12) during Absalom’s conspiracy. Ahithophel had a reputation for marvellous practical sagacity (2 Sam. 16:33). Hushai on the reverse was sent back to the palace by David, to constitute an intelligence unit with Zadok and Abiathar (The High Priests) along with their sons to frustrate Ahithophel’s counsel and Absalom’s conspiracy (2 Sam. 15:27- 37). Jehoshaphat son of Ahilud served both David and Solomon in the same portfolio as recorder (2 Sam. 8:16b; 1 Kgs. 4:3b). Benaiah on other hand was promoted from head of the Pelethites and Kerethites (David’s special forces and mercenaries) under David to army commander in the stead of the deceased Joab under Solomon (2 Sam. 8:18a; 1 Kgs. 4:4a), akin to Mr. Osafo Maafo’s elevation to Senior Minister. Azariah, Elihoreph and Ahijah were serving for the first time under King Solomon (1 Kgs. 4:2-3a) like Dr. Boakye Agyarko and Dr. Matthew Opoku Prempeh under President Akufo-Addo. So David’s and Solomon’s friends appointed in their government served to the very best of their abilities; so again the emphasis should be on competence if one is evaluating the President’s appointees. The second part of the definition focuses on President’s appointees possibly influencing him to appoint their relations as well or they themselves in their capacity appointing or causing the appointment of their relations without recourse to the President. Now let us concentrate on the President being influenced to appoint the relations of his appointees. Examples are the state appointments of Mr. Kofi Bosompem Osafo – Maafo and Mr. Kwadwo Gyamfi Osafo – Maafo (Sons of the Senior Minister) as well as the ambassadorial appointment of Lawyer Mike Ocquaye Jnr (Son of the Speaker of Parliament). Since it is the President who appoints Directors at the Social Security and National Insurance Trust (SSNIT) and the National Communication’s Authority (NCA), then it is possible that the Senior Minister used his relations with the President to get his sons appointed. Mr. Kofi Bosompem Osafo – Maafo is the Deputy Director General in-charge of Investment & Development at SSNIT; and in the case of Mr. Kwadwo Gyamfi Osafo – Maafo the portfolio of Deputy Director, in-charge of Cyber Security at NCA was created for his occupancy. If prior to Mr. Kwadwo Gyamfi Osafo – Maafo’s appointment, the NCA in this era of cyber crime had not created that department/directorate; then that is lackadaisical and lethargic on their part and leaves much to be desired. [v] In the case of Lawyer Mike Ocquaye Jnr, since he assumed the same portfolio once held by his father; then is possible his father influenced his appointment. His father was Ghana’s ambassador to India during the first term of the Presidency of Kuffuor. On his own merit Lawyer Mike Ocquaye Jnr is more than good enough (competence and party loyalty wise) for any Ministerial/Deputy Ministerial appointment in Ghana. So one cannot help but wonder what is the special interest in India for the Speaker Rt. Hon. Prof. Mike Ocquaye and his son? The diplomatic astuteness of the Speaker of Parliament during his tenure as Ghana’s ambassador to India was instrumental in the grant that the Indian government gave for the construction of our seat of government; the Flagstaff House. It could well be that Ambassador Mike Ocquaye Jnr has been made to follow in his father’s footsteps for strategic reasons. Solomon’s Prime Minister/Chief administrator was Azariah (a Priest himself) who also happened to be the son of Zadok (One of the High Priests at the time); besides his competence, could his father have influenced his appointment in a way? I think so. Shisha served as David’s secretary (2 Sam. 8:17b) and his two sons served in the same capacity under Solomon (1 Kgs. 4:3a); it stands to reason that he had a say in his sons appointment akin to the situation of the Speaker of Parliament and his son with regard to the ambassadorial role to India. Solomon’s appointment of Baana (Son of David’s friend Hushai – I Kgs. 4:16); Azariah and Zabud (Sons of Nathan - a Prophet in the palace of David – 1 Kgs 4:5) possibly could not have happened without recourse to their fathers (similar to the appointment of Mr. Osafo Maafo’s sons). Jehoshaphat son of Ahilud served both David and Solomon as recorder (2 Sam. 8:16b; 1 Kgs. 4:3b); so if Solomon appointed his brother Baana as a governor, (1 Kgs. 4:12) then it could not have been on his blindside. Now let us consider the part of the President’s appointees using their power to appoint or causing their own relations to be appointed. According to Mr. Samuel Gyamfi (Communication team member of the NDC), Madam Elizabeth Afoley Quaye – Minister of Fisheries and Aquaculture – effected the appointment of Mr. Joseph Botchway (her brother) as the Administrator at the Premix Secretariat. [vi] David divided the army into 24,000 each under a commander for duty each of the 12 months (1 Chr. 27:1-15). Of the 12 commanders with their command for each month, it was Benaiah and Asahel who had their sons Ammizabad and Zebadiah as their next in command respectively (1 Chr. 27:5-7). It stands to reason that once they were appointed by David; then they used their office to appoint their sons as their next in command. If indeed Mr. Joseph Botchway is the brother of the Minister as alleged, then it is probable she effected his appointment. It is worth noting that most appointing authorities (be it the kings in Scripture/traditional or political leaders) first look for the virtue of loyalty before considering competence. To a greater extent one is bound to find that in family and friends. It is more likely that a loyal servant could be trained to become competent than a competent person being loyal. That notwithstanding, all appointments of King Saul, David and Solomon were also motivated by competence; so if one subjects the Presidents appointments to scrutiny, it should be the whole package of weigh family/friends loyalty vis-à-vis competence. One cannot help but agree with Prof. Gyampo that Ghanaian politicians are self-seeking, self-serving, self-perpetuating and self-aggrandizing because relations of the Vice President, the acting National Chairman of the NPP as well as relations and several former workers of the Finance Minister at Databank have all received one appointment or another. [viii] Solomon had a larger government as the portfolio held by Ahishar (in charge of the Solomon’s Palace – 1 Kgs. 4:6a) was only encountered in his administration for the first time in Israel like Ghanaians being introduced to a Ministry like Monitoring and Evaluation under President Akufo-Addo. Very Rev. Prof. Emmanuel Martey (immediate past Moderator of the Presbyterian Church of Ghana) at a public lecture organized by Christian Service University College (CSUC), Kumasi on the corruption canker in Ghana had this to say about the size of President Akufo-Addo’s government among other things: “A large government means large corruption. So we should have a Constitutional direction. NPP and corruption, I said clearly that what has been proven, the NPP appointees have begun showing signs of corruption.” [ix] The President clearly has lost the fight against political vigilantism and I was getting scared that his rhetorics on fighting corruption was going to suffer the same fate until the appointment of the “Citizen Vigilante” Mr. Martin A. B. K. Amidu as the Special Prosecutor. Now that he has been approved by Parliament and sworn into office by the President; I pray that civil society groups and all Ghanaians would help in the setting up of the office to fight corruption devoid of selective amnesia and jaundiced political eyes/party colouration. David killed Uriah through covert instructions given to Joab (1 Sam. 11:14-17). As the King his word carried power (Eccl. 8:4), and any other army commander would have carried out his instructions; but it was relatively easier because Joab was his nephew. Without calling the integrity of the President into question, are his several family appointees on a covert mission for the family/their personal benefit or they have been appointed purely to serve the national interest? The administration of the rod of discipline is always difficult when it comes to FFG. Joab murdered Abner (Saul’s cousin and army commander) for killing his brother Asahel as well as Amasa in a moment of truce/ceasefire (2 Sam. 3:26-30; 20:8-10; 1 Kgs. 2:5). David admitted his inability to sanction the sons of Zeruiah (Joab and Abishai – 2 Sam. 3:30; 39). Joab, Abishai and Asahel (2 Sam. 2:18) were always described as the sons of Zeruiah (their mother was the sister of David). This is strange in a patriarchal society like that of Israel, and the only logical conclusion would be that their father died probably when they were young. David cursed Joab and his father’s household (the deceased man and his family – 2 Sam. 3:28-29) for Abner’s murder rather than his mother’s household (which obviously would have included himself and sister Zeruiah)? The point is well made that cracking the whip on family relations in government is a very difficult task. Though the Finance Minister was cleared of the charge of conflict of interest, a prima facie case was established against him for procedural error in the $2.25 billion energy bond saga by the Commission of Human Rights and Administrative Justice (CHRAJ); in a petition brought against him by Mr. Yaw Brogya Gyamfi (NDC Youth Organizer – Ashanti Region). In other climes, he would have resigned by now; but I learnt he is challenging the adverse findings of CHRAJ in court which is within his democratic right so to do. The President delivering this year’s State of the Nation’s Address described Mr. Ken Ofori Atta as a national asset. [x] What do we do with national assets? We protect them. It remains to be seen how President Akufo-Addo would deal with his family appointees once they are found culpable? David put to account the death of Saul, Jonathan, Abinadab and Malchishua, slain in battle by the Philistines with whom David was in league. (1 Sam. 27:1-6; 28:1-2; 29:1-30:1). All the 360 slain in the battle between Joab and Abner (2 Sam. 2:31). Some too thought that the death of seven men of Saul’s immediate family (2 Sam. 21:8) had occurred before David’s flight from Absalom. What makes this statement half-true is not the fact that it happened but the premise leading to the event. The death of the men of Saul’s family was not borne out of David’s hatred for Saul’s household but arose out of David seeking answers for a famine that lasted for three consecutive years (2 Sam. 21:1-9). The accusation against David as secretly ordering the execution of Abner from biblical evidence was false (2 Sam. 3:28-39). So once power is lost, the loser’s view becomes a convoluted mixture of truth, half-truth and falsehood. This was the undercurrent feelings of some of the Benjamites. After the death and quelling of Absalom’s conspiracy, all Israel called for the return of David as king to Jerusalem (2 Sam. 19:8-10). But David’s return was reduced to a tribal affair with the tribe of Judah and some thousand Benjamites taking centre stage. David even bargained to replace Joab with Amasa another relative of his as army commander (2 Sam. 19:11-13). When the rest of the tribes complained, Judah drew the tribal line so it was not surprising that when Sheba blew the trumpet and called for tribal independence all Israel followed him (2 Sam. 19:8-20:2). It is worth noting that not all Benjamites joined the throng to return David to Jerusalem; and after Sheba’s revolt not a single Benjamite remained with David. So the nepotistic traits that attended David’s resumption of power warded off even Benjamites (who had earlier supported him) and the rest of the tribes in Israel. The President must know that the views of the leading opposition NDC after losing power are a convoluted mixture of truth, half-truth and falsehood (akin to Shimei’s). They are not always right or wrong, it depends on the position they take on an issue. As adduced earlier it might be difficult for one to fault the President in the letter of the Constitution but he should be mindful of its spirit. David only appointed his relations into office as army commanders because that was the most important office to him as a warrior king. According to the NDC, the President’s relations occupy very important positions such as Ministers of Finance, Attorney General, Works and Housing, Roads and Highways; serve as Ambassador to Czech Republic; serve at Directors at Fair Wages and Salary Commission (FWSC), State Insurance Corporation (SIC), Tema Development Corporation (TDC) and the Creative Arts Council (CAC); serve on Boards such as Ghana National Petroleum Corporation (GNPC), National Petroleum Authority (NPA) and Ghana Oil (GOIL); serve as Executive Secretary to the President and as Presidential staffers and advisors. [xii] Some of the appointees without any smidgen of doubt are known relations of the President, but if all of them are truly his relations; then at face value, it seems that the President is nepotistic with his relations occupying these very important and strategic positions. It does not matter the far larger number of other positions not held by his family relations; in the court of public opinion, he is guilty. One can only accuse him fairly with an appraisal of all his appointees vis-à-vis their family/tribal/ethnic origin; that notwithstanding the perception of Ghanaians about the President regarding his appointments within and without his party; as well as among the general populace is not very high. With our political parties’ organization and discourse steeped in ethnic and tribal bigotry, such perception augurs ill for our national cohesion. Perception may be real or apparent yet can still have devastating effect. Friends and Family Government like any other phenomenon has its own advantages and disadvantages as elucidated in the arguments above with copious biblical and practical examples; as to how the advantages and disadvantages interact in the greater interest of the Ghanaian populace under the Presidency of Nana Akufo-Addo, time will tell. [viii] 2018, January 9 -11. Ghana Palaver. (Vol.26: issue 86). [xi] Albert Barnes, Notes on the Bible – 2 Samuel 16:5-8 (Electronic Database: Biblesoft Incorporated, 2006).